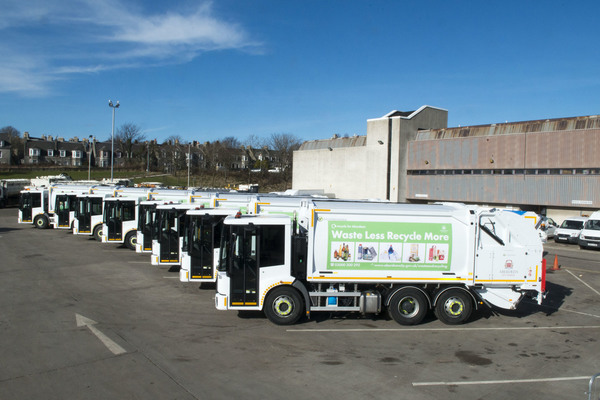 Aberdeen City Council has fitted the latest camera recording systems to 32 vehicles in its waste and recycling fleet to keep the public, crews and its vehicles safe. The technology will also be fitted to 12 new vehicles due for delivery to the council by March 2018. Installing the equipment means that the council also benefits from reduced insurance premiums and can quickly investigate any complaints from members of the public regarding damage to vehicles or property. The RX3 system from Innovative Safety Systems Ltd (ISS) is now part of the standard specification on all new waste and recycling vehicles operating in the city. With four cameras fitted to the exterior of the vehicle, and a quad screen function, there is total visibility, and over a month’s worth of activity can be stored at any one time.